It’s time to do what most of us do when hunting down the best tent for cycle touring. Dedicate hours to finding the perfect balance between weight, size, and comfort. Only to spend most nights in a guest house! Waking up by a flowing lake on fresh morning sounds great... But in reality... it's freezing, you slept terribly, and you're pretty sure a badger has shat in your panniers. Nevertheless, there will inevitably be a time when there are no hotels available, and you'll be forced into the wilderness. 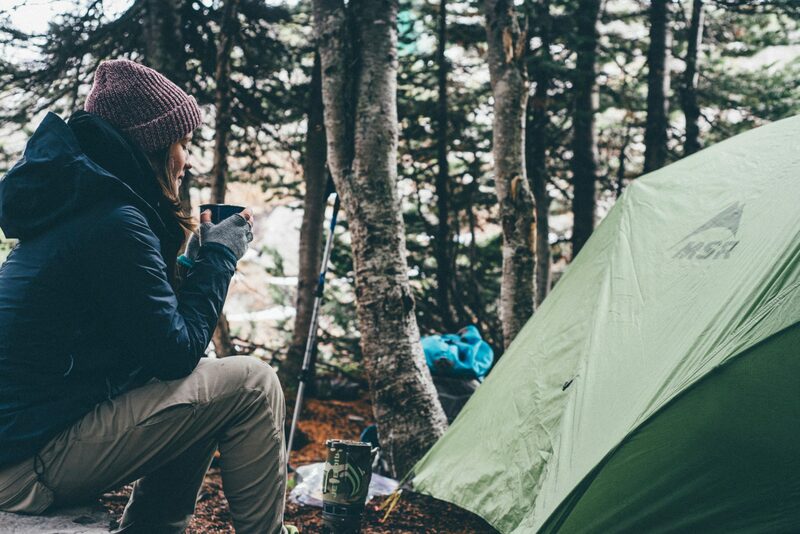 Plus tents, sleeping bags, and sleeping pads will contribute to the majority of your bulk, so it’s important to get them right. If you're planning on wild camping during your trip, make sure to check out my bicycle stealth camping guide for ultimate stealthy-ness. 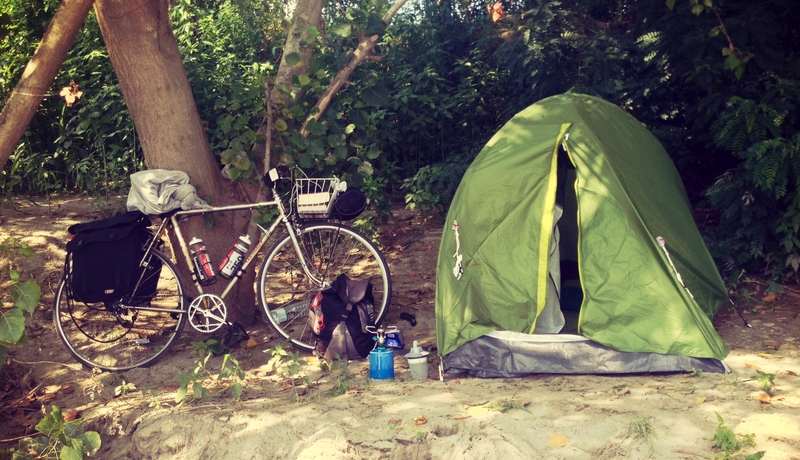 Choosing the best tent for cycling far can be tough, there's an enormous amount of choice. I've narrowed the tents down into three main categories - ultralight, backpacking and four seasons. There are also combinations such as - double wall, solo and with or without awnings to consider. Plus, prices can range from as little as loose change to hundreds of dollars. But wait, before analysis paralysis kicks in and you decide just to sleep under your bike. Pick a category from the list below to narrow down your search. Picking a category will make things easier and prevent you from spending long nights snuggling up to your derailleurs. 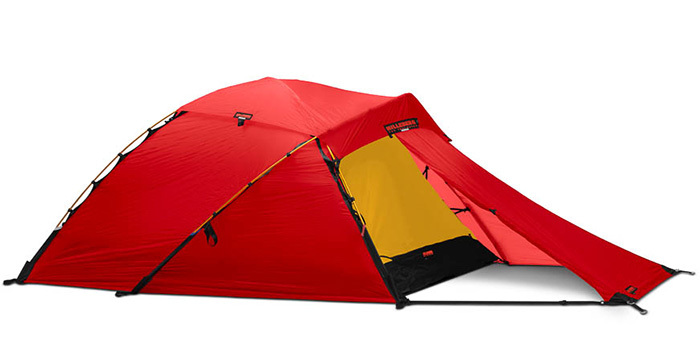 Note: I used a cheap Decathlon tent when cycling across Europe. It was definitely not the best, but it suited me fine. The tents I'm showing are not the only ones available. However, they're representative of what is currently being used, successfully, by people on the road. Ultralights are concerned about one thing. Weight. They may be an ideal choice if you intend to use it a few times in nice conditions. But, they tend to descend into quivering messes at the sign of bad weather. Plus, they'll not last as long as other tents. 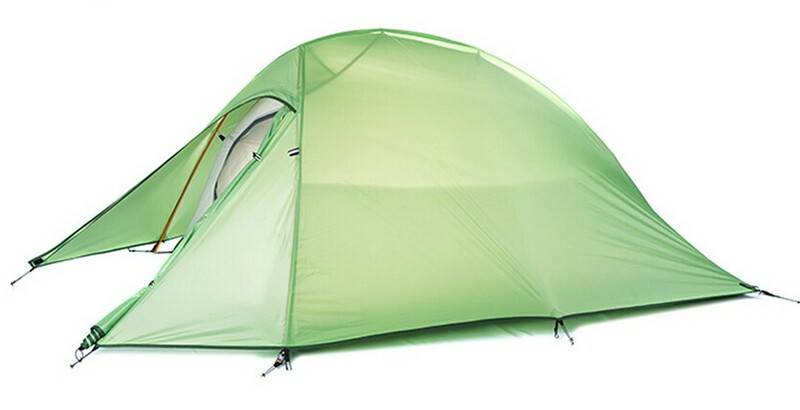 Backpacking tents pick certain key features from 4-season tents and drop them into the lighter weight category. Not quite ultralight. But often, a happy medium for the average bicycle tour. 4-Seasons are your heavy weights. If you're intending on hitting sub-zero temperatures, strong winds and snow. These tents will do the trick. Their durability is partly down to their waterproof flooring and additional insulation. The additions also add durability, making 4-Seasons ideal for trips of 6 months or more. However, these inclusions can have adverse effects in warmer climates. 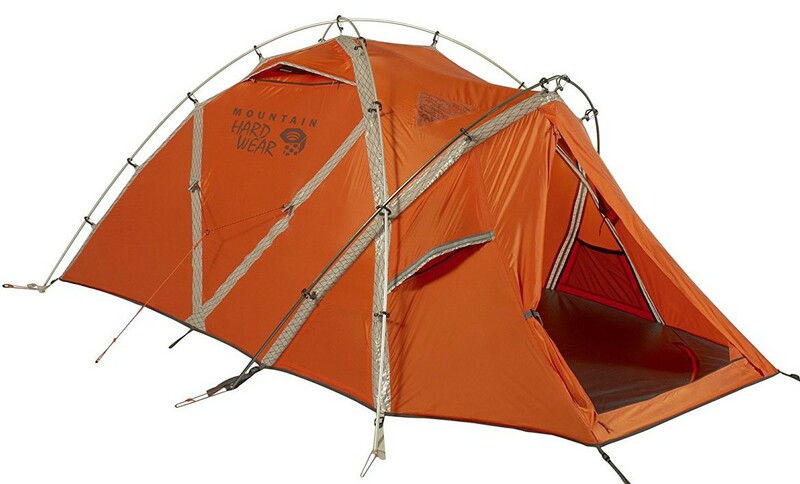 Heavier fabrics and reduced mesh limit the tents ability to ventilate efficiently. 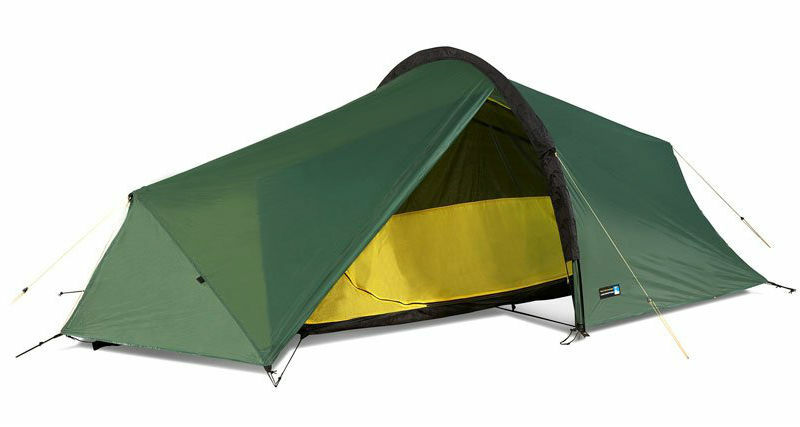 ​As is the case with most ultralight double-wall tents, the Fly Creek scores poorly on durability. It uses an ultralight ripstop nylon that's coated with silicone on the outside and polyurethane on the inside. That's high-quality stuff. However, fabrics coated with silicone on both sides are typically considered much more durable. The lack of headroom for sitting is this products main drawback. You could probably sit up straight if you're around 5ft 9", but any taller than that, and you'd struggle. Very easy to set up (regardless of your rigging skills - 3/4minutes is the average person set up time). 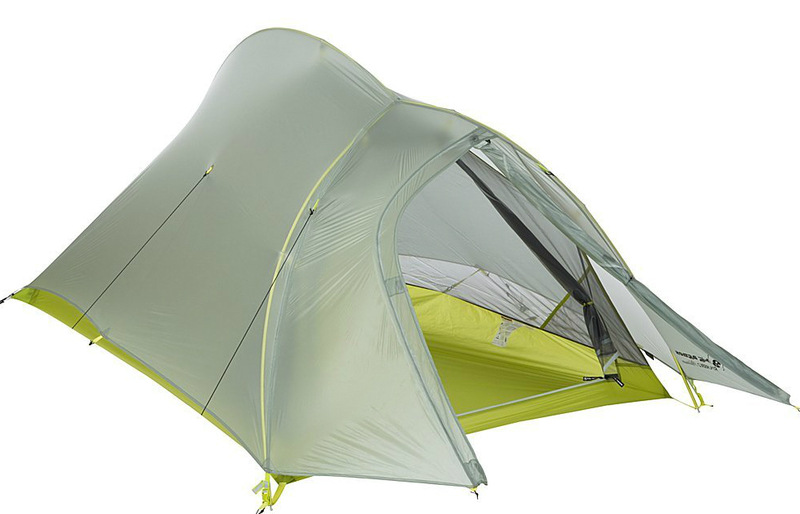 It's the lightest tent that I could find weighing in at 793g. Most ultralight shelters weigh more than double this and don't provide as much protection from blowing rain. The MSR Hubba Hubb﻿﻿a interior floor space is a little small at around 84x50 inches, so you may find your face squashed against the walls if sharing with a larger camper. Luckily the light color and kickstand vents make it feel bigger than it is. It comes with little guy cord and not very many guy points to keep it secure in dodgy weather. Meaning high winds could result in your tent flying off. 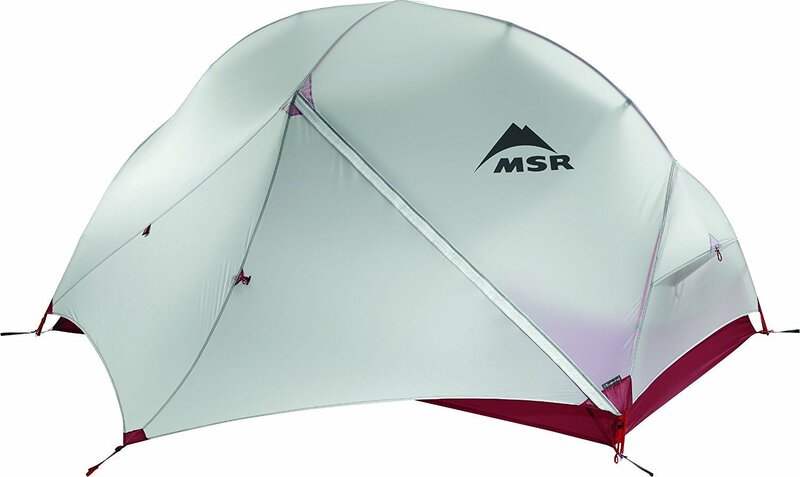 ​The MSR Hubba Hubba NX is one of the most comfortable tents for its weight. The two door design and ventilation makes you feel like you've got loads of space. The light color makes it feel bright on the inside adding to the feeling of space. Very adaptable. With the various pitching modes, you have lots of options for how much you want to carry. You can pitch normally to ensure you're warm, or you can choose the light mode, enabling you to check out the night sky. 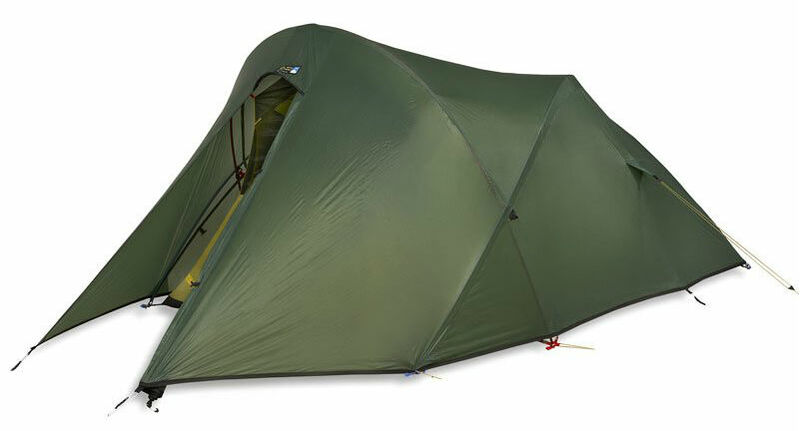 Mountain Hardwear's EV2 weighs in at around 2200g which is quite light for a 4-season tent. Nevertheless, it's x3 heavier than its ultralight comparator. It's not adaptable; it must be pitched in the same way every time. It's either bomb proof or nothing. The two windows and translucent panels let in loads of light and allow you check up on the weather. For cycling touring, you'll want to strike a happy medium between weight and durability. The MSR Hubba Hubba is the best combination of this criteria I could find. Additionally, different weather suits different tents. This is a challenge for cycle touring as you're likely to encounter various conditions. The MSR has great adaptability by allowing many modifications. These modifications will enable its use from countries as varied as India to Iceland.